Building a timberframe home from scratch. : Pimping my Blog and Promoting a Great Man for President! Pimping my Blog and Promoting a Great Man for President! A link where you can pledge. The Facebook Event... click "Attend!" please. Ron's site for contributions on the day of the Moneybomb. If you're undecided or open minded about this coming election for President of the United States, then please at least watch Ron in the Presidential debate on May 5th! Go Ron Go! 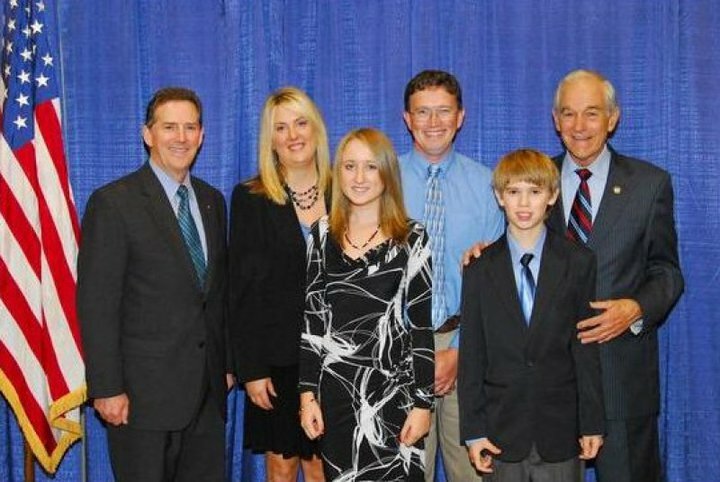 For those that say he can't win... don't forget that his son, Rand, just won a competitive race for US Senator here in Kentucky! You have great political taste. Good to here you fill be updating blog. It is curently a great book without an ending, Glad to see you are busy at your new job. Go Ron! Always happy to find a new blog espousing the message of the champion of the Constitution! These days we RonPaulites have to stick together. I've been going around giving the tumbs up to all the Ron Paul shirts I see around town. Great site and a great topic as well i really get amazed to read this. garage shoes ,Wonderful blog post..
Anon, I can appreciate what you are saying. I do realize that I am dilluting the housebuilding aspect of the blog in order to promote something else that is important to me. It is relevant to my house project though, since the man I am supporting in this blog post defends individual property rights and freedom as a consequence. I would not have been able to build this house without these liberties. Ron Paul is basically an anti politician, in that his platform is "to live and let live," rather than to impose choices on others. I'll try to increase and improve the house building content! Hi, just wanted to say I found your blog and like your Ron Paul posts. I would like to connect with other Lewis County Ron Paul supporters.